Confident Cafe Owner. 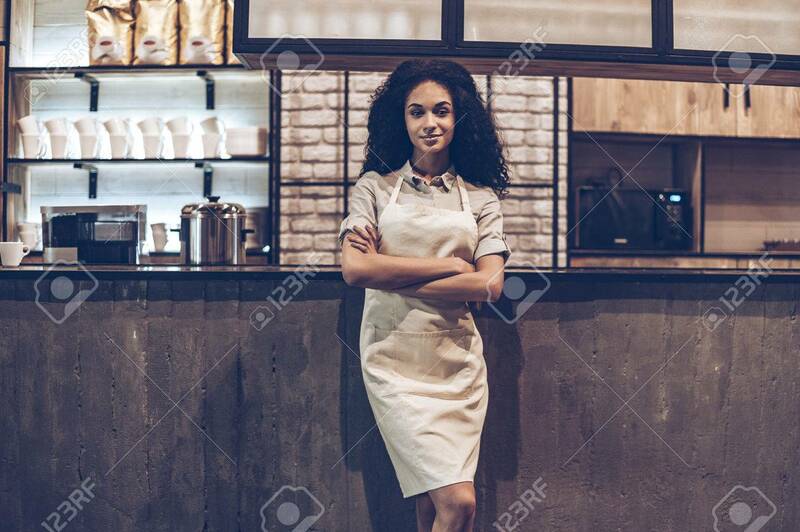 Young Cheerful African Woman In Apron Keeping.. Stock Photo, Picture And Royalty Free Image. Image 57733520.